Large-scale internal migration towards cities can seriously affect the networks of family and friends migrants rely on and influence both the type and frequency of transfers received by households in sending areas. Previous studies have mostly analysed transfers between the migrant and the family left behind. 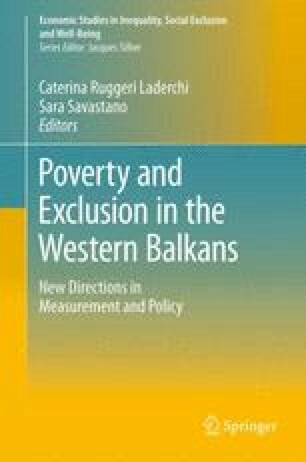 This study focuses instead on the case of entire households migrating to the peripheries of Albania’s capital city Tirana and considers the following questions: Does the types of transfer received by the migrant households change after migration? And do transfers from friends substitute for transfers from family members after migration? Data from a unique survey amongst migrants that have moved to the periphery of Tirana are used to investigate financial, in-kind and service transfers received by migrant households before and after migration. A negative binomial regression model is employed to look at main determinants of the frequencies of transfers received by the migrant household before and after migration. The changes in the support received from different members of the kinship before and after migration are tested using a Hausman specification test. Results show that frequency and types of transfers received have changed after migration. Households received fewer transfers than before migration, but financial transfers have increased. Friends become increasingly more important after migration, substituting for transfers from more distant relatives. Question E.6 What kinds of contact do you have? Question H4.1 How did the move to Tirana change your relations with other people (including family)? Question H4.4 Can you describe the kind of support you receive from others? How is this different to the past, before you moved?